This family profile is compiled from copies of newsclippings, book articles and obituary notices sent by the Utah Historical Society of Salt Lake City in April 2001. Also used is information from Census records for Rochester NY and Salt Lake City UT sent by Jane Lawrence of Scottsdale, Arizona, USA. I am grateful for the assistance. This family of Qualtroughs descends from one John QUALTROUGH who appears in the 1860 census for Rochester, NY, USA . His parents were John Qualtrough, Publican, of The Level, Rushen, Isle of Man, and Margaret Clague. (See Chart 13 of A QUOTA OF QUALTROUGHS). He is listed in the Rushen (IOM) 1851 Census as living with his father and as an apprentice blacksmith. John , it is assumed, emigrated to the USA in the early 1850’s. His wife-to-be, Margaret CREBBIN, must have gone with him and they appear to have married soon after arrival, as there is no marriage record in the Isle of Man. Their first child was born in 1855. In the Census for 1860, John is listed as QUALTRO, aged 26, (therefore born about 1834) a blacksmith, married to Margaret, aged 32 and with three children: Margaret E, aged 5, and twins Frank and Frances aged 1. We next see them mentioned in the Rochester 1870 census with the name spelt correctly as QUALTROUGH, with the additional child, Frederick, aged 1 yr. (Frederick died in April 1871 of bronchial influenza, aged 1yr 9mths and is buried in Mt Hope Cemetery, Rochester. His place of residence is given as Lime Street, Rochester.) John and Margaret are both listed as having been born in the Isle of Man. Daughter Margaret is this time listed as Elizabeth and she, along with Frank and Frances are attending school. In 1880, we see a few more variations of the family’s census listing, but it is obviously the same family. John is now 46 and still a blacksmith and Margaret, 52, is keeping house. Daughter Elizabeth (Margaret in 1860) is now Eliza M., aged 25 and a school teacher. Frances is listed as Frankie, female, aged 21 and unable to read, although this could be disputed as we later see she too is a school teacher in Salt Lake City. Her twin brother, Frank is a collection laborer. Another son, Elmer M. has been born, is aged 7 and attends school. In 1890/1891, the family moved to Salt Lake City, Utah (were they members of the Morman Church – possibly), although it is not known whether John and Margaret went with them or had died in the intervening 10 years. No trace of death or burial records has been found for them in Rochester however. Research still needs to be carried out to sort out what happened to John and Margaret. If they did go, they must have died in the next 10 years as in the 1900 census in Salt Lake City, Elizabeth is now the head of the family, a school teacher, with her sister Frances also a school teacher and brother Frank, Frances’ twin, the manager of a poultry farm. Elmer is a clerk at the railroad office. From here on, the detail of the family is fairly prolific thanks to newsclippings, directory entries and obituary notices. Each member of the family will be profiled separately. Lizbeth Margaret Qualtrough was Born June 1856 Rochester NY, USA Died October 17th 1935 Salt Lake City, Utah, USA. "There is something distinctly novel and commendatory in the policy of the Review in publishing sketches of the lives and works of prominent Utah educators while they are still on the crest of their achievements. Flowers, as they stand on the study table, are far more beautiful and their perfume definitely more delightful to the living than when they wither on a little mound of earth, the result of a post mortem. "It is difficult for the writer to know just how to begin this article. The life of the subject of this sketch has been so full of the work of her profession, so marked with great achievement, so much taken up with her love for humanity, and covered withal by a delightful modesty and unselfishness, that one finds no suitable place for opening." "The writer recently received a communication from Miss Qualtrough which is refreshingly unique and characteristic. It tells in a few words the story of her formal education: "I am afraid that, as we measure advantages today, I had very few, but I did have some. I received my elementary training in the public schools of Rochester, New York, and, fortunately for me, in the days before ‘homogeneous groupings’ had filled the mouths of educators, - it is a very mouth-filling phrase- and stirred the wrath of parents. I fancy many of my teachers would have been a bit hazy as to the meaning of the term. So I really did get an ‘equal opportunity’ since my class environment was as good as any and even Terman admits that the "superior" children come, in the main, from the superior environments. Thus, I was saved from becoming a member of the ‘nut class’ and allowed the inspiration of better minds than my own. On finishing my elementary school course, I entered Rochester Free Academy from which I graduated after four years work in the classical and scientific courses. "Miss Qualtrough came to Salt Lake City in the formative years of the public schools here. She was assigned the grade work in what was called the First School, corresponding to the First Ward. On completion of the Hamilton School, the second of the new buildings to be opened, she was appointed its principal. After several years of up-building work there, she was transferred to the Washington School, a larger building where her opportunities were widened. From there she went to the Oquirrh School, where she achieved her highest honors as a principal. 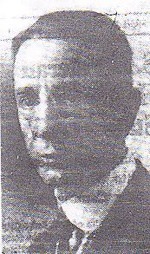 She succeeded the late W.J.McCoy, who had been promoted to the Bryant High School. The writer remembers that at this school, in addition to her multifarious and exacting duties as principal, Miss Qualtrough conducted a class in literature, which was a mecca for principals and eighth grade teachers of the State. In this work she evinced an adroitness in the technique of teaching, a knowledge of the subject taught, and ability to connect it with other subjects such as history, politics, ethics and so on, together with an appreciation of the powers of the pupils to understand, that were in the estimation of the writer, unsurpassed anywhere. No pupil left her tuition without a definite love for good literature, which is, after all, the foundation of most culture." "Later on Miss Qualtrough was transferred to the primary department of the city schools as supervisor. Her work here has been a repetition of the genius she had shown as principal. She has in this department exhibited the openness of mind that has characterized her work everywhere. In fact, it is impossible for a mind such as hers to work in any other way. She has adopted new views as soon as they are shown to be true views and has in many instances blazed the way on the path of progress. One of the salient features that have distinguished her work has been the development of the kindergarten work in the schools. This work has been so organized as to fit into the first grade work in such a way as to advance the youngster in the latter several months. Project work of the primary department has also been established as an outlet in the motor activities of the child. Some of the finest work of the department has been accomplished through this innovation. Above all, the curriculum has been arranged in such a manner that the child is not forced into an activity that he is not biologically ready for. The primary department, in keeping with the other departments of the city schools, has no superior anywhere." "Miss Qualtrough says she is not "highly educated" in the modern sense. In this she is mistaken. She came from a talented family and her environment has been that of the highest culture. The gray walls of a university cannot give the former and not always do they impart the latter effectively. Colleges formerly were often the places where only pebbles were polished and too often where diamonds were dimmed. The academic atmosphere had of old its dangers, which only the strong independent mind could counteract. Even now we find their graduates living on merely the ideas and methods of their instructors and possessing a certain dry idolatry of schedules and programs. These eventually will be cured by contact with the larger world. There are many successful teachers and administrators who have had the genius to use their academic knowledge to mount to greater heights, but Miss Qualtrough believes with the writer that one may be so efficient along academic lines and formulas that he is likely to lose the human viewpoint. And again, not every student can digest a university education. It often breaks out on him in a sort of mental excema." "Not only has Miss Qualtrough been the inspiration and making of many a successful teacher, but she has shown the way to culture by her graceful speech and her love for honesty, justice, mental integrity, and above all, her appreciation of the subtleties of humor, have made their permanent impress upon thousands of American youth." " Miss Lizbeth Qualtrough, prominent educator for 40 years. Miss Lizbeth Margaret Qualtrough, prominent Salt Lake City educator for more that 40 years died Thursday at 1.55pm at her home, 3056 Seventh East Street, following an apoplectic stroke last Saturday. "Coming to Salt Lake City in the fall of 1891, Miss Qualtrough was made Principal of the First Ward school…….." The article then lists her educational appointments, going on to say that: "In 1910 Miss Qualtrough was made supervisor of the primary department of the Salt Lake City school system which position she held until her retirement five years ago. " "She was also active in club circles in Salt Lake City, serving for many years as chairman of the Browning section of the Ladies Literary Club and was an active member of the Mizpah chapter, Order of Eastern Star. Miss Qualtrough was born in Rochester, NY, a daughter of John and Margaret Crebbin Qualtrough. She received her early education and preparation for her later educational life in that city. " "Surviving her are a sister, Frances Qualtrough, an instructor at the West High School, a brother, Elmer M Qualtrough and two nieces Mrs Stanley J Tracy and Miss Frances Qualtrough, both of Washington DC." Apart from the references to Frances which have appeared in Census records and her sister Lizbeth’s obituary, where she is noted as being a teacher by occupation and teaching at West High School, Salt Lake City, all the rest of the knowledge is gleaned from the following obituary which appeared in the Salt Lake City Telegram on 27 January, 1944. Retired SLC Teacher died in Midvale. "Miss Frances Qualtrough, 86, a retired Salt Lake City public school teacher died at the home of a friend, Mrs S.F. Moore, in Midvale, Thursday at 2am, off a heart ailment." "She was born in Monroe County, New York, a daughter of John and Margaret Crebbin Qualtrough and received her early education in Rochester public schools and then attended Rochester academy. In 1893 she became associated with the public schools of Salt Lake City, first teaching in the Jackson School. She then taught at the Bryant and Grant schools and in 1905 went to West High School as a teacher of English. She remained there until 4 November 1935, when she retired. Miss Qualtrough was a member of the Ladies Literary Club and of Mizpah chapter No. 5, Order of the Eastern Star. Her sister, Lizbeth M. Qualtrough, who died several years ago, was well-known as a Salt Lake City teacher and educator, serving as supervisor and assistant superintendent of primary grades here for many years. Surviving Miss Qualtrough, are a sister-in-law, Mrs Emma F Qualtrough of Alexandria, Virginia, and two nieces, Mrs Margaret Tracy, Alexandria, Virginia and Mrs Frances L.Buzza, of Raton, New Mexico"
Again, apart from the census listings and directory listings for Rochester and Salt Lake, all that is known of his activities is from his obituary notice. Frank was born in Rochester, NY which has already been established and moved to Salt Lake City with his family in the early 1890s’. Polk’s City Directory lists him as a farmer, in 1900 and later as a manager of a poultry farm. Still later he is listed as a poultry breeder.
" Literary Devotee called by Death..Frank Qualtrough, 30 years a resident of Salt Lake and a brother of Elmer M. Qualtrough of the Qualtrough-Allcott undertaking establishment, died at the family home, 3056 Seventh East Street, December 13th. Mr Qualtrough was a native of Rochester, NY and attended the public and high schools of that city, later taking a course in civil engineering and entering that profession. He came to Salt Lake in 1890 (sic) and for some time worked as a compositor on the old Salt Lake Herald, leaving because of deafness when the linotype machines were installed. During recent years Mr Qualtrough devoted much of his time to literary work and was the author of numerous stories and poems with western scenes and themes. His last composition, an allegory on Bruce Canyon, was finished only a few days before his death. Mr Qualtrough, who has resided at his Seventh East street home for 20 years is survived by two sisters, Miss L.M. Qualtrough, primary supervisor in Salt Lake schools; a twin sister, Miss Frances Qualtrough, teacher in English in the city high schools and by one brother, Elmer M. Qualtrough." Elmer M. Qualtrough is first mentioned in the 1880 census listing for Rochester, NY where he is listed as 7 years old (therefore born about 1873/74 – correct date given below). In the 1900 Census for Salt Lake he is 28 years old and working as a clerk in the railroad office. In the 1920 census, he is listed as owning his own business, Qualtrough-Allcott Co. with Charles Allcott, being a registered embalmer and working as an undertaker. He is married to Emma F Qualtrough and has two daughters, Margaret F Qualtrough, aged 12 and Frances S. Qualtrough aged six. Elmer M Qualtrough Born March 25th 1872 in Rochester, New York. Died June 1938 in Salt Lake City, Utah, USA. Published in the Salt Lake Tribune, June 5th 1938. "SLC Mortician Succumbs – ailment fatal to E.M. Qualtrough. Elmer M Qualtrough, 66, of Salt Lake City, mortician, died Saturday at 3.30pm at the family home 1904 Thirteenth East Street, of carcinoma. He had operated a mortuary at 544 South Main Street for 28 years, most of the time as a partner of Charles Allcott. Following Mr. Allcott’s death two years ago, Mr Qualtrough continued the business alone. He was born in Rochester, New York, March 25 1872, a son of John and Margaret Crebbin Qualtrough. A thirty-third degree Mason, he was a past master of Acacia Lodge No 17 F and A.M. and held membership of Utah commandery No. 1 Knights Templars, in Utah consistory No 1 Scottish Rite Masons and in El Kalah Temple , Nobles of the Mystic Shrine. He was a past patron of Mizpah Chapter, No. 5 Order of the Eastern Star, and a member of the Brotherhood of Locomotive Engineers and Firemen. Surviving are his widow, Mrs Emma T.(sic) Qualtrough, two daughters, Miss Frances Qualtrough of Salt Lake City and Mrs Stanley J Tracy of Washington DC; two grandchildren and a sister, Miss Frances Qualtrough of Salt Lake City." Work will now begin to trace descendants of this family line beginning in Washington DC with the two children of Margaret (nee Qualtrough) and Stanley Tracey (Elmer and Emma Qualtrough’s daughter) and also for any children of Frances L (nee Qualtrough) Buzza of Raton, New Mexico, (also Elmer and Emma’s daughter). Compiled by Elizabeth Feisst, Bundaberg, Queensland, Australia.